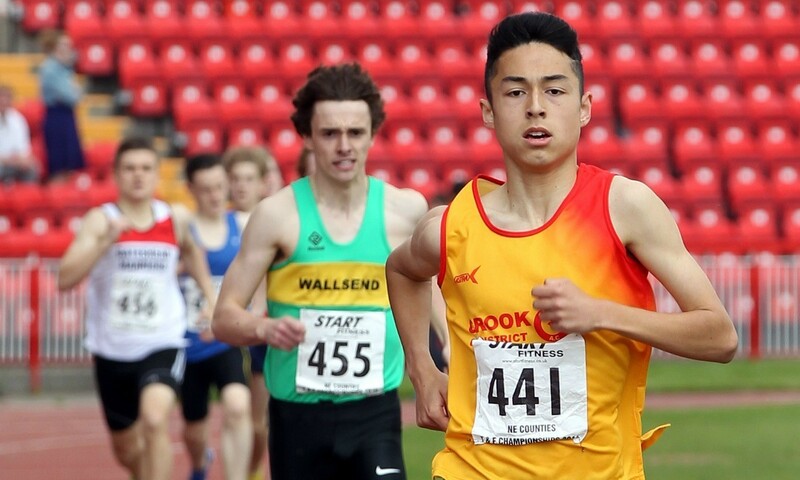 In the latest issue of Athletics Weekly (May 29), 15-year-old British middle-distance runner Markhim Lonsdale is featured in our popular ‘How They Train’ series. As the introduction explains, it’s an age when youngsters rise to prominence quickly and vanish even more rapidly and because of this I think many coaches are becoming paranoid about how much, or how little, to give them in terms of training. Coaches in the UK tend to look at the African runners as enigmas, and of course they are to a certain extent. However, what is unilaterally common is that these athletes have been running from a very early age and because of this they are much fitter aerobically and undoubtedly mentally tougher too. Whether they are ‘developed and nurtured’ better than British or European youngsters is up for debate – periodisation in general doesn’t exist for many of the African nations, it’s more of a ‘only the toughest survive’ regime. Nevertheless, Markhim, who just happens to be my protégé, has been involved in athletics since he was eight years old, sampling running, jumping and throwing to some degree – so perhaps his aerobic and coordination skills have also been honed to a reasonable level? Although I’m trying here to keep a non-biased view, all I can comment on is what I see and what he does. I can’t guarantee that he’ll be a future great or that his progress may stall or even fail. All I can do through my coaching expertise is to try and make his pathway smooth and progressive and what that end result will be may well be in the hands of the Gods or even down to an element of luck! From a personal observation of many club coaches, some are in the quandary of perhaps giving either too much, or even too little, in a session. Of course, it’s common knowledge that many youngsters are early developers both athletically and in terms of maturation and unfortunately most fall by the wayside at an early age too – a look at the stats will show that. There are also late developers who go on to much greater things too. However, there are only a handful of youngsters who actually go on to senior level and attain international honours and an even smaller select few who reach world-class standards. We must not forget though that here in the UK the likes of Steve Cram, Steve Ovett, Seb Coe, Mo Farah, Paula Radcliffe and Kelly Holmes were all outstanding youngsters and they weren’t too bad as senior runners either! Did they do the odd tough session as youngsters? You bet they did. Nevertheless, I’ve lost count how many times I’ve heard the lament, “such and such will never make it as a senior athlete because they are training far too much and hard in their early to late teens.” Well athletes such as Jess Judd, Steph Twell, Charlotte Purdue and Charlie Grice to name but only a few are now making the transition to the highest level after distinguished teen careers. Yes, they may have trained hard in their formative years, but what is certain is that they will have been well developed by their experienced and knowledgeable coaches. They wouldn’t have made that quantum leap otherwise. So how am I approaching the training of my young talented runner? Not with trepidation. I have confidence in my own abilities developing sessions after hopefully much educated experimentation, dabbling, tweaking and pure gut instincts over many years. Through the winter months a staple session was our ‘Kenyan Hills’ which were done in a much different format to the norm. Without any work on a track Markhim was able to top the UK rankings indoors at both 800m and 1500m and boy could he sprint when needed! In the AW article Markhim is kind enough to say it’s all down to me, but I don’t go along with that. My dear friend, the late Frank Horwill, used to say it’s 90% athlete and 10% coach and perhaps even 50/50% for youngsters. I’m not sure about those stats and even in reality if it’s only 1% coach then that will do for me, as long as that small amount means the difference between success and failure. Many say that coaching youngsters isn’t easy – in fact someone said to me after his season’s opener of 1:53.3 over 800m, “you’ve got a hard job ahead!” But it’s so easy to work with talent, you’ve just got to keep reminding yourself that your athlete is young and although titles and fast times are great, the big picture begins to unfold around five to six years down the line. What I really like doing with athletes of this age, and all ages for that matter, is getting inside their heads and giving them an athletic education so by the time that they become senior athletes they are knowledgeable and mentally tough and they know more than the opposition! It’s fairly simple to teach them to run well when things are going smoothly in a race – anyone can run well when the cogs are flowing freely. However, it’s those that can summon something from nothing that will be the champions. I am sure there are many coaches out there with uber-talented athletes who have had their eyes opened by some fantastic training feats – it may not be a time-based effort, just something that you knew was the wow factor! I thought I’d seen it all during my 48 years involvement in the sport, but I have been ‘blown-away’ by a couple of my athletes over the winter months and although that flash of excellence may not manifest itself in the short-term, you know then and there that it is the Holy Grail that many search for, but can never attain or find. One such flash of brilliance came just recently when Markhim did 3x800m with a generous recovery and averaged 2:05. Good you may think, but certainly not a world-threatening flash of brilliance? It’s what happened next that turned everyone’s attention down at the track … a 400m effort which was supposed to be “faster than 800m pace, but not flat-out.” Off he went, following, or even hanging on in the slipstream of my other, much older, under-23 athlete. At 250m you could see that the instruction had been forgotten about and he wasn’t going to let my very good older athlete finish too far ahead. Down the straight they came neck-and-neck with Markhim edging it on the line – a quick look at my watch and I could hardly believe what I was seeing … 50.7 and 50.8. He followed this up after a five minute jog and covered 200m in 24 seconds – Alf Tupper fiction at its best! It’s at this point where we have to keep reminding ourselves that the youngster is only 15 years and four months old. On any other day my older athlete would have been waxing lyrical about his 50.8 effort, however I’m fairly certain he went home feeling somewhat unhappy – there was no need to, of course. I had to assure him that what he had just done was amazing – after all, he had just run three 800m reps in 1:59! I have to say that the one thing I look for in sessions above all is how the athlete looks and feels immediately after a rep and not necessarily what the stopwatch says. Times do tell the coach and athlete much, but to me it’s how they recover and respond immediately after a rep that shows exactly what shape they’re in and what their capabilities are. After Markhim’s early 1:53.3 800m, I’ve actually seen him more fatigued after a warm-up and following his mind-blowing 50.7 rep, yes he was tired, but in no way distressed and it was straight into his jog recovery! What I’ve also found is that many athletes and coaches come to an assumption that when someone is doing very well then they must be doing exceptional amounts of training. I now tell people that Markhim has upped his average weekly mileage this year to 155 miles per week. Mind you, 125-130 of those are in his dad’s car! He does do some tasty sessions, but nothing that prevents him from running freely and easily the next day and that is the key, especially at a young age. As I mentioned previously, I do structure sessions differently to most coaches and these do work without some of the traditional bread-and-butter sessions (we still do these though). These sessions are totally foreign to what I used to do and are not just for young runners – seniors do them too. I can integrate the specific work needed that used to take me four weeks in half that time. I’ve changed the winter to summer transition quite markedly also – it’s now an almost seamless conjunct with all the necessary ingredients still in there, it’s just delivered in a different and, in my opinion, better and more conducive way. I call it “cross-match training” and I certainly haven’t re-invented anything, it’s just 48 years of ‘been there, done that’ experiences. I’m sure there are many other coaches out there with innovative ideas but unlike some I’m prepared to share mine should anyone want to ask or better still, meet up and have a good old chat. More changes will be added I’m sure when I can convince myself that they are necessary and of course beneficial! A few years ago I met up with the greatest of them all, Haile Gebrselassie. I asked him about youngsters, burnout and training volumes in Ethiopia. You’d be surprised by his comments! Being a UK Level 4 coach for around 20 years now, my methods and philosophies are all based on my own running experiences, talking to coaches and athletes and attending conferences, observing, reading and most importantly, continually looking at things from ‘outside of the box’ and taking time to devise workouts that are 100% beneficial for the individual … and also working for AW! The one thing that you need to be a really good coach is a switched-on analytical mind and having the common-sense to dissect things into usable tidbits and getting away from the ‘it used to work for me’ or ‘it worked back in the day’ syndrome. It’s all about gaining experience, sorting the wheat from the chaff, and then using that wisely for the individual – one size definitely doesn’t fit all. Let’s just hope the good young ones of today will turn into the excellent athletes of tomorrow!